1.2 Where to find anise plants? 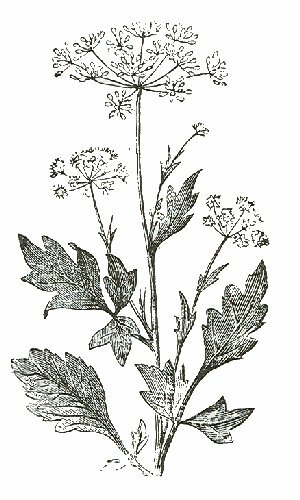 Perennial plant of the Umbelliferae family of up to 50 cm in height. Stems erect, pubescent, rounded and striated arising from a woody root. Leaves petiolate, the lower heart-shaped and lobed, 2-5 cm in length, the upper lanceolate-linear, and very divided. White flowers about 3 mm in diameter, together in umbels, with long stalks, with five petals. Fruit of 3-5 mm in diachenium, aromatic and provided with 5 rows. Where to find anise plants? Natural from the east of Europe in the zone that, at the moment, includes the Middle East, Turkey, Egypt, Greece and the Greek islands, where it grows wild. The main anise producers of the world are Turkey, China, India, Mexico, Spain and Germany. Anise of better quality is produced in Spain. Anise does not support flooded or very humid earth. It should be watered only when in bloom if the weather is dry. It is essentially used as a spice for the preparation of plates and pies of all type. As a medicinal plant, it has numerous applications for the digestive and respiratory apparatus and the nervous system. The essence of its fruits is extracted to be used in the pharmaceutical industry, the industry of cosmetics, liquors and perfumes. This herb comes from warm and sunny places reason why it is necessary to provide an atmosphere to him that responds to these parameters. It must be planted in the sun and it does not grow in shady or oriented places towards the east. It does not support to the frosts or the too much environmental humidity. It is also important that it is protected from the wind. It prefers compacted, loose, sandy soils , but they must contain a good proportion of organic material. Calcareous soils or limestone-silicon are the favorites. Do not plant in clay soils or those that retain too much water. The soil should be tilled, raked and fertilized with about 18 t / ha of manure before planting. After a couple of weeks after planting we will clear the field, removing the excess of plants, and ridging, that is covering the base of the plant with sand to produce a greater root development. It is important to keep the field free of weeds by weeding it when necessary, which should usually be taken place two or three times a year. Pruning is done when the plant is about 20 cm in height. This will eliminate slight excess branches or foliage, which will facilitate the ventilation of the feet and prevent the growth of fungi. Fertilization takes place in spring. In addition to the fertilization with manure during land preparation, use the following products rich in sulfur. The reproduction will be held in mid-spring from seeds sown directly drilled in its final location. The seeds are planted at a depth between 1 and 4 cm, requiring approximately 6 kg / ha. Previously, the field must be plowed and should have some moisture for the seeds to germinate. The germination occurs after about 10 or 30 days. At birth, they are left rooting well for about 10 days and then lightens excess plants, allowing the feet to maintain a distance between 20 and 25 cm. The flowers are born after about three months after to have germinated. These usually last three weeks. The plants usually are collected when they present a dark brown appearance before the opening of the fruits and when the plant begins to lose the leaves turn yellow. It is desirable to do so in the morning, when the plant has a higher concentration of essence. After cutting them, they are dried to the sun or in an inner enclosure with good ventilation. Once dry, the fruits are separated with the technique of hitting with a stick, they are cleaned by means of a sieve and they separate of the rest of dry matter by means of the wind. “Rust” of pimpinella: It is a disease that affects the Pimpinella sort, being very common in Burnet (Sanguisorba major) is produced by microfungi Puccino pimpinillae that attacks the leaves and stems in which there are brown spots red. It occurs mainly in specimens planted in poorly ventilated and damp. The best prevention consists of avoiding the excess of humidity and facilitating the ventilation, spacing the units and avoiding to plant them in humid, shady places or in depressions. Erysiphe martii: They are tiny fungi of spherical form very difficult to see due to their small size. Increase seen in the microscope appear as small dark balls which radiate a series of appendices. They cause rotting of the leaves. They thrive in damp places, hence they are very common during the autumn rains. The best prevention is to use the methods described above. Lepidoptera: Larvae of these insects feed on the flowers. Between them are the caterpillars of butterflies as well known as a flashy Machaon (Papilio machaon) or less noticeable gilvaria Aspilates moth. The latter is a common view on the thyme. Other less common moths are Depressaria pimpinella or the pimpinellata Eupithecia. Aphids: These are often developed in the tender buds. The most important is the Aphis pimpinellae.